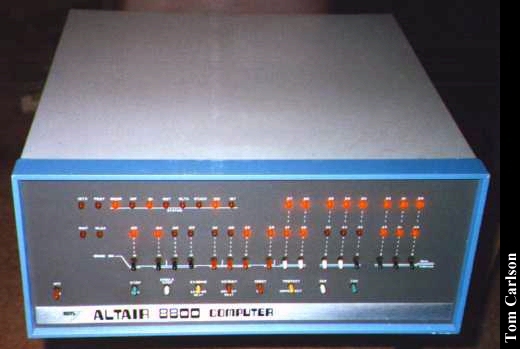 Due to the saint-level kindness of Don Miller, the Museum now physically contains an Altair 8800. As near as I can tell, it seems to work. The A3 LED isn't working, but everything else seems to flash appropriately. Altair Front Panel - Just the front panel, in dim light so you can see the lights. Notice that the A3 LED isn't working. Altair Front - View of front and top in dim light. Altair Front - View of front and top in strong light. MITS Logo - The legendary MITS Logo in dim light. The colors are wrong, but you can see the actual logo better. MITS Logo - The same logo, under strong lighting. The colors are correct, but it's hard to make out the MITS logo. Backside of the Front Panel - This is the back side of the board holding all those toggle switches and LEDs. 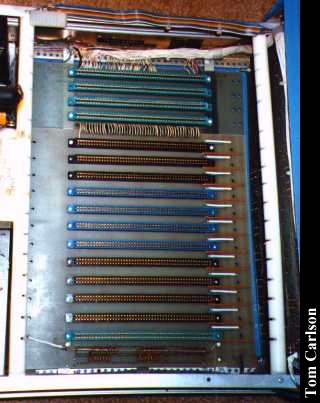 A ribbon cable connects this panel to the processor card. 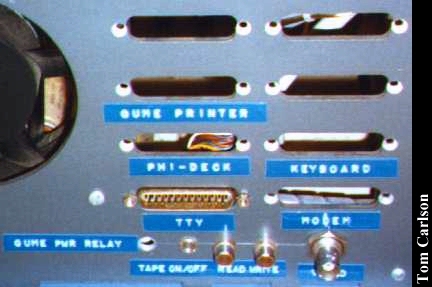 Back of Case - Jacks for a tape drive and a TTY terminal are included. There is also a video jack, but it's not actually connected to anything. Power Supply - Now that's a power supply! Watch your fingers, there's nothing protecting the ignorant here. S-100 Bus - Every card, from the CPU, to memory, to the I/O plugs in here. Notice the nice plastic stabilizing bars on either side. I've seen other Altairs that lack these, so I don't know if they are official MITS stuff or not. S-100 Bus Cards. These cards comprise the actual computer. The rest of the case justs hooks them together and supplies the power. 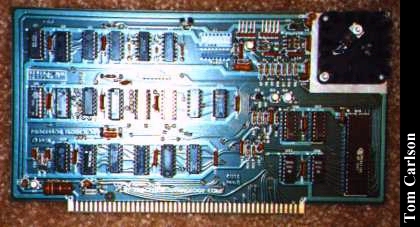 CPU Card - The white chip is the 8080. These S-100 bus computers did not have a motherboard like current PCs. The processor card was just another card on the bus. Computers designed like this were very flexible. 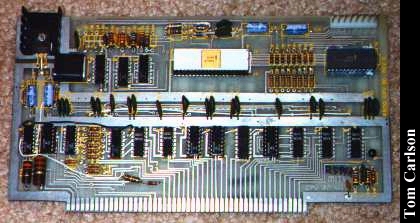 Eventually, the cost advantages of cramming everything on a single board made motherboards the dominant configuration. 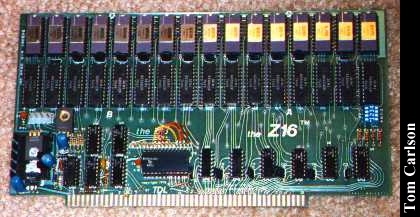 Z16 Card - 16k RAM card, from Technical Design Labs (TDL). 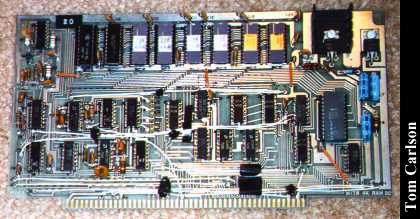 Tape Drive Card - This card controlled the tape drive. 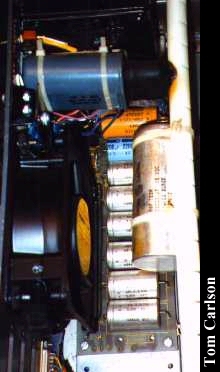 A small ribbon cable runs the input, output, and remote signals out the back of the case. TTY Terminal Card - This card drives a TTY terminal, duh. 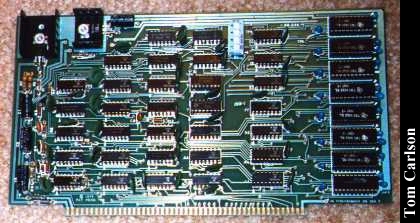 "our Altair is still using the original processing board and two of the original memory boards. Working around the poor design of the Altair and creating modifications to upgrade it to the present level of operation required a lot of work." 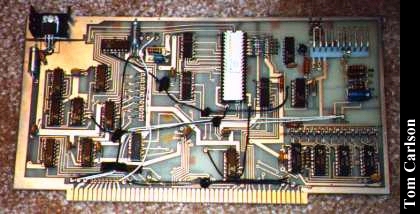 Side view of boards in the S-100 bus - The first board is the processor board. 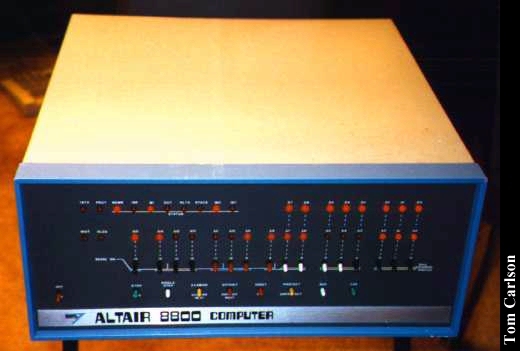 Click here to view all comments for the MITS Altair 8800 and to leave your own. Click here to view comments about other MITS computers.